Alexander Crosett is a vocal coach and piano teacher. 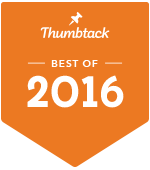 He was ranked #1 for Lessons in New York City by Thumbtack's Best of 2016. Whether you're preparing for an audition, performance, or just want to learn for fun, private Piano Lessons or Vocal Coachings provide one-on-one feedback and guaranteed results. Any style of music or level of ability is welcome. Alex's students can be heard on stages across the globe, from New York's Carnegie Hall, Lincoln Center, and Broadway theaters to national touring productions and venues across Europe and Asia. Award-winning Atlanta based pianist, piano teacher and commercial vocal coach.